Thanks Tom. I would hope you can get shooting again. I find that if I don't get out every couple of days, I go into "withdrawal" that eventually forces me to load up the SUV and head for the hills, or the prairies. Clouds clearing over the mountain (Orient Point) after the storm. Ghost River Valley, Alberta Rockies. This was shot with my Canon 1D X and a 24-105mm L IS lens. Processing was done in Lightroom and Nik's Color Efex 4. As usual, questions and comments are welcome. Week 22, Waiting for the wind. 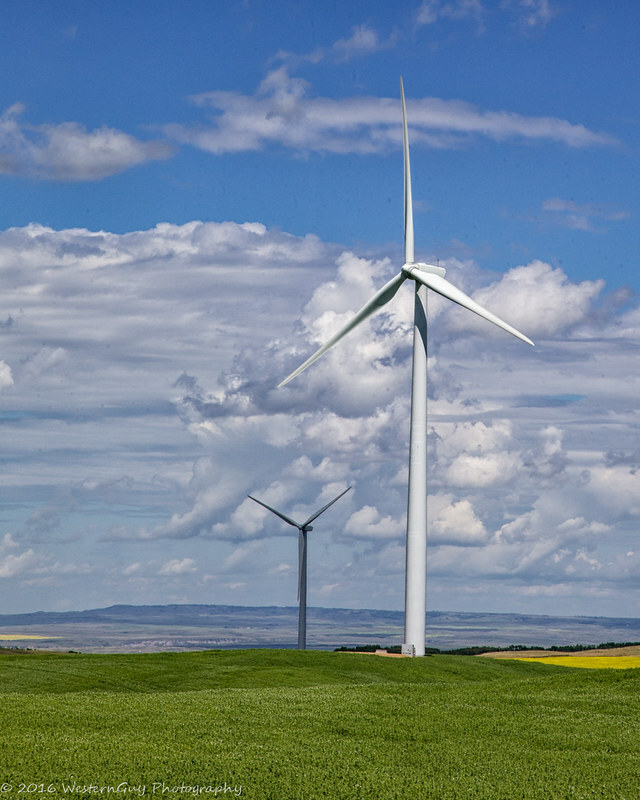 A small amount (just over 4%) of Alberta's energy is wind generated with more to come. I was out for a drive actually looking to see what I could gather in the way of landscape images when I came across this area of wind turbines. These two were not moving, apparently waiting for the wind to pick up. The other thing about this image is the grey turbine. I had never seen a grey one before, only white ones, so I grabbed this image with the gathering storm clouds and the "hilly" prairie behind it - who says the prairie has to be flat . This image was shot with my 1D X and 24-105mm L IS lens. Processing was done in Lightroom CC and Nik's Color Efex 4. As usual questions and comments are welcome. Nice couple of shots WG. Sorry for not responding sooner. 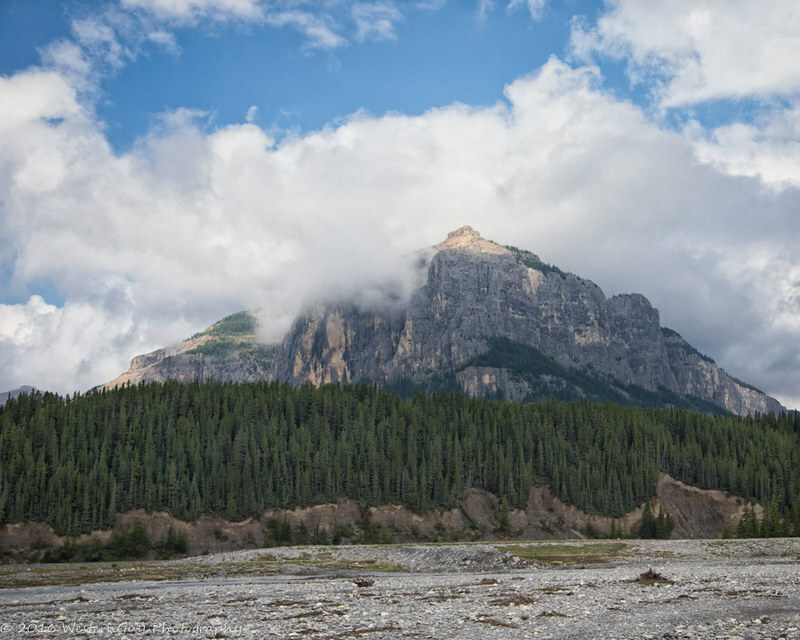 Do you know what your camera settings and focus point was for the mountain shot? Seems like the trees and mountain could be a bit sharper, but then, it may be just my eyes getting old. Redneck Enthusiast Photographer on a shoestring budget. Thanks Tom. The mountain was shot at 1/2500 sec, f4.0, 45mm, ISO 400, +1/3 EV, so you may be right, not as sharp as it could be, but this could also be partly due to the processing and the "reduction" in size for display on photoMentoris as the original is not too bad on my monitor. Maybe I will have to watch the aperture a little better next time (f/11 to f/16) and maybe I need to do a better job of sharpening my images for the posting. I don't think it is your eyes getting old, more likely my memory of the things I need to check is failing me. Thanks for sharing the details WG. It's still a nice shot, but I do think dropping down the aperture would have made it a bit better. I agree. I need to make a checklist and wear it around my neck. This old guys memory is starting to fail him on occasion. Week 23, another little house on the Prairie. 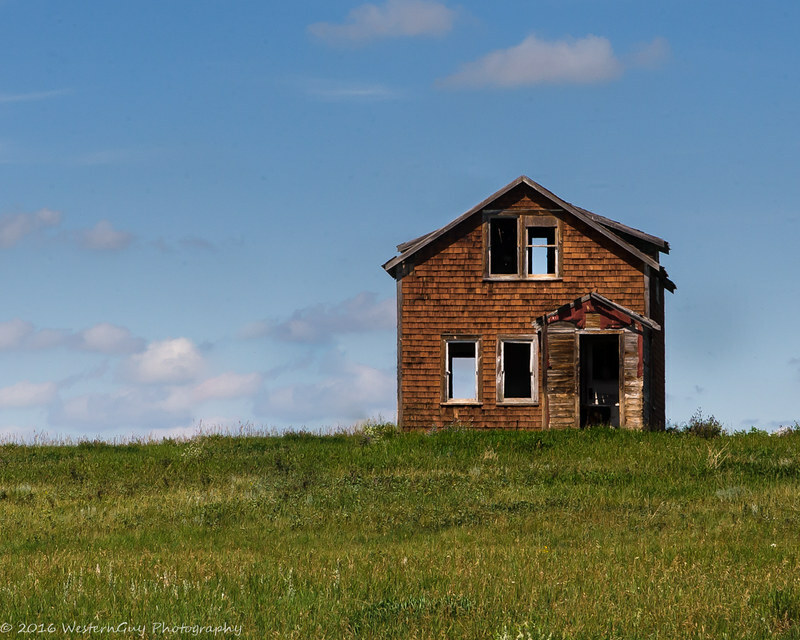 Those of you who have seen some of my images over the years will know that I love to photograph old, abandoned farm buildings, barns, houses, etc. We were driving along a back road I hadn't traveled before and saw this old house. The interesting thing, for me, was that shingles had been used as siding on this old house. Shot with my 1D X and a 24-105 lens. Processing was done in Lightroom CC. Thanks Tom. Yup, given the price of new homes in our area, $CDN 500 thousand ±, it probably would be. It is a home in the country, so I probably couldn't afford it.